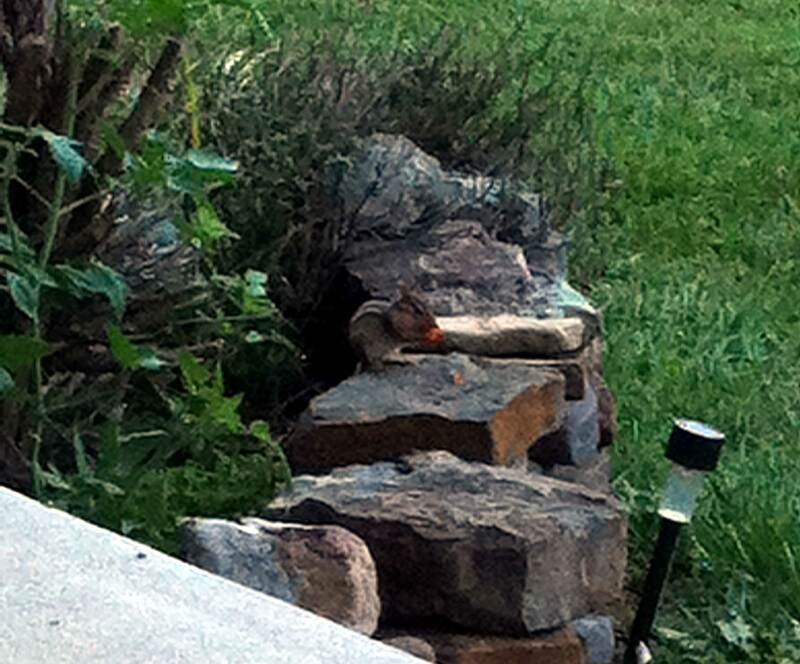 Mr. Aitch and I were sitting on the front porch the other evening and saw the tomato thief enjoying a Roma tomato. I hope he helps me plant them next year and not just eat them! This entry was posted in food, garden and tagged garden, tomato plants by Patti_is_knittinginflashes. Bookmark the permalink.